Just in time for the annual Hillsong Conference, which was held in Sydney this week, Hillsong UNITED recently released its latest album, Wonder. Many of its songs – with their fresh, new sound for UNITED – were being belted out by the big crowds at the conference. 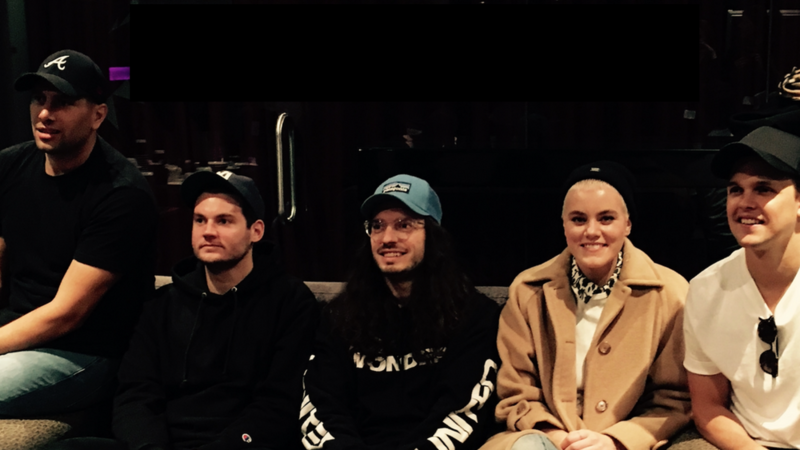 In between leading the stadium-sized singing this week, Eternity caught up with Hillsong UNITED to discuss its new album, what has kept them going for 15 years and how God can use us all, wherever we are. Tell us about the theme of the album, Wonder? JD: The album carries joy, which comes with wonder. It’s the whole theme of the album. Sometimes it’s easy to look at the world through the eyes and lens of wonder, but majority of the time it’s a choice. We actually have the choice to live through wonder, to do what Jesus taught us. He said, “If you want to enter the Kingdom, you have to have that childlike faith.” We’re all getting older, which means we’ve got kids – or will one day [looks at singer Taya and giggles] – and kids just “froth” on anything! It’s so fun living like that. It definitely doesn’t happen naturally, but when you do that with intentionality, I believe that’s actually the way Jesus called us to live, and it’s so much better than the other option. There’s a catchy lyric from your latest album, Wonder, which the Hillsong Conference attendees have been singing: “Tell the devil, no, not today!” Where did it come from? Matty Crocker: I helped write it. Let’s put God in His place, and the devil in his place. We’ve been thinking about it a lot – we give way too much credit to the devil for a lot of things. As Christians and people who believe in God and believe that He is above all things – and is the authority over all things – we have the right to say “No, not today.” It’s a fun song, but there’s a strong theme behind it. 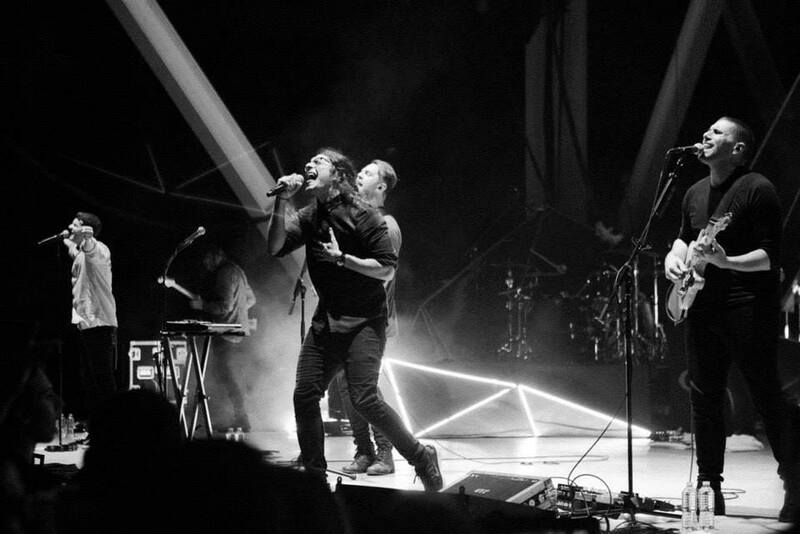 You’ve been together as Hillsong UNITED, in some way or another, for a long long time. What’s stayed the same? JD: The journey for us – none of us would have expected it whatsoever. We just started playing together in our youth group and writing songs that we were aiming at our youth group and suburb. So the fact that the music has travelled and impacted the way it has, nobody is more surprised than us! For us it’s always been about glorifying the name of Jesus. The Bible says “love God, love people.” The best way we can help people is to point them to Jesus. We started in the church, and we’ve remained in the church. And I think that’s what our strength has been. We never had a grand plan; we still don’t. I think there’s a beauty in that: trusting in God. So, it’s just been that one step at a time – and that’s the way I believe God calls us all. Usually, it’s not the way that we want, which is why we have those incredible verses about trusting God and not leaning on our own understanding – because it doesn’t always make sense. But God is good and we just need to trust in Him, not our own ability. Jad Gillies: The crazy thing is that with all these projects and opportunities that come along, there’s a degree of reluctance. Firstly, you want to make sure you’re not just doing stuff for the sake of it. And you want to make sure it’s building the church. But I just love that there is a bit of a heritage. Guys like Reuben Morgan, Ray Badham, Steve McPherson – we really love and respect them because they really did forge a path for youth worship. Matty Crocker: The heritage doesn’t stop with us. You look at the people coming behind us, and it’s something that God just wants to keep doing. Does that mean you give advice to Young and Free (Y&F), and they look up to you as big brothers and sisters? Matty Crocker: At the start they asked us to get in there and help them craft their “sound,” but we found out very quickly that musically – they have their own “thing.” There’s something in them that needed to come out and it wasn’t what we had. It’s quite obvious that this [Wonder] sounds so different to what they’re doing. Spiritually, we’re always there for them. We meet up with them, have BBQ’s with them or whatever. Jad Gillies: The cool thing about Y&F is that they’re all church kids too, so on the weekends we’re all serving in the same capacity; we’re all leading worship, serving in church, being in services and doing our very best to build The Church, so we get to do it together. 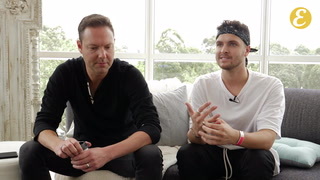 One of the best things when I was going through was that I got to lead with Reuben Morgan, and I got to learn from him. I got to to ask him questions, I got to watch him be a dad, and I got to watch him be a leader. I got to watch him be a man and I feel like that’s where the best growth and teaching and discipleship happens; almost through osmosis. Just being and serving together is one of the greatest things and one of the best things about being in the church. Taya Smith: Yeah, it’s Biblical. “Those that are planted in the house of the Lord will flourish.” I think that’s the key there: being planted. So every time we are not travelling, we’re in church, we’re hanging out on weekends. We have people coming alongside us, and as Matty said, it doesn’t stop with us; it’s going to be the next generation who will declare His works to the next generation as well. 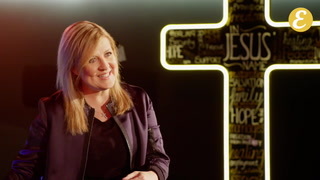 Can Hollywood tell the plain truth about Hillsong Church?